Disclaimer: This is not a paid post, nor is this a political campaign material. The views and opinion expressed in this post are solely mine and do not, in any way, represent the views and opinion of any company I’m connected with. 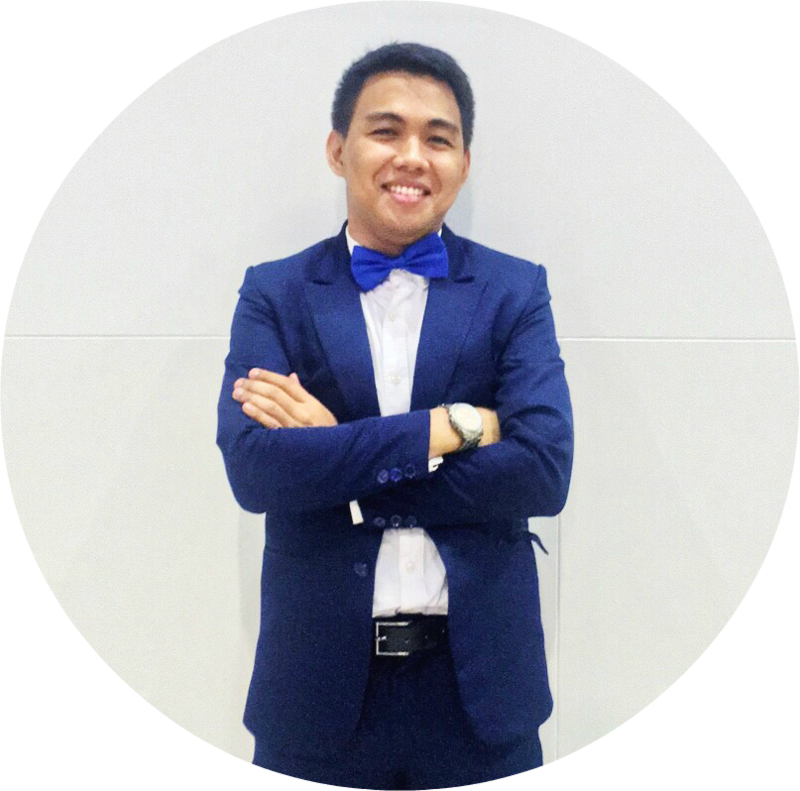 In the interest of full disclosure, be it known that I was born and have lived in Davao City for more than twenty-three years and is currently living and working here in Makati for almost three years now. First post of this #Duterte2016 series, “Why Manila should be very afraid of Duterte” gives non-Dabawenyos a fundamental understanding of who Mayor Rodrigo Duterte is and how he has performed as top executive of Davao City for two decades. It’s been a day after the second leg of COMELEC’s PILIpinas Presidential Debate and the whole country is still very much into it. A lot has been said and I believe this will go down the memory lane as the most followed and most intense presidential election ever. Election-related opinion and memes have dominated social media platforms Facebook and Twitter all day. Thanks to the ever-growing power of social media which allows everyone to be part of each and every issue which practically makes everyone instant political analysts. But this post is not necessarily about what transpired in the debate yesterday as I’m pretty much certain that you were able to watch it. Allow me to share with you my few cents regarding this whole political fiasco. I’ve been following all the political drama leading to the May elections and I just noticed one thing in common among Binay, Poe and Roxas. Despite the barrage of corruption issues, Binay remains unfazed in his political campaign from day 1 of his being a vice president until today. Bombarded with incompetence and trust issues, Roxas remains steadfast and self-asserting. Threatened with disqualifications due to legality of her citizenship, Poe battles it out with all her legal might. If there’s one thing that makes these three look the same, it’s this: they all ‘lust’ for the presidency. Binay and Roxas have long been salivating for the country’s top political post while Poe has always said she wanted to continue FPJ’s legacy (whatever that legacy is apart from Panday and other action-packed films.. Mabuhay ang Panday!). #PatrikAt25: My eight-day solo budget travel in Thailand — and why I almost died in Phuket! This is the second part of my #PatrikAt25 blog post series. This part will talk about the first city in my tri-city adventure in Thailand.. Phuket! 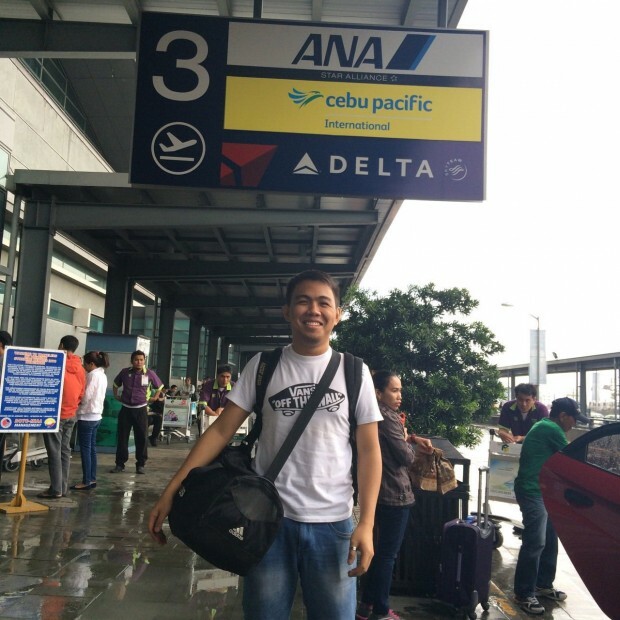 For those who missed, the first part “Lessons from 8-day solo travel birthday escapade in Thailand” talked about the exciting and challenging experiences I’ve encountered throughout my journey. In this post, I will be talking about the places I’ve been to, where I’ve eaten and everything else in between. And yes, prepare for lots of pictures! 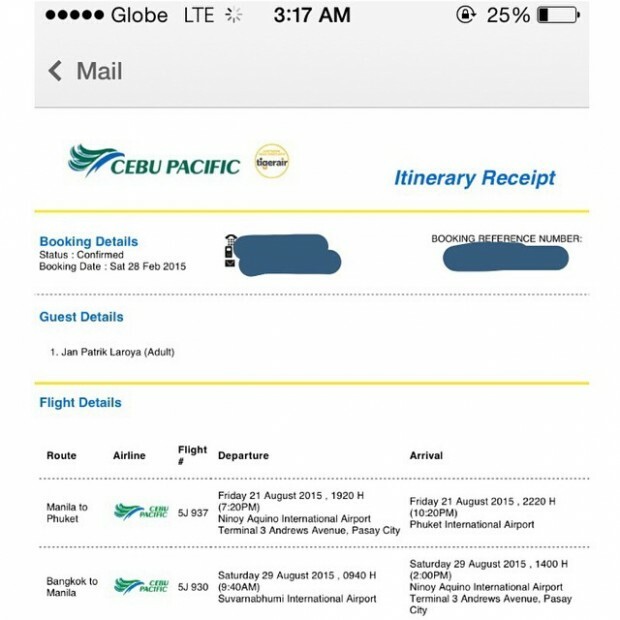 For everyone asking, this trip was a celebration of a myriad of events: more than anything, it’s a celebration of my 25th birthday last August 24. Add to that, I got promoted in SGV as a Senior Associate after being with the firm for two years (hired August 2013); it’s also a celebration of working in the country’s financial district Makati for two years (arrived in Manila July 2013) and my second year anniversary for having passed the Certified Public Accountants’ licensure examinations (passed May 2013). This pretty much explains the long eight-day journey. This is the first in my #PatrikAt25 series of blog posts since I realized my eight-day journey cant be encapsulated satisfactorily in a single blog post. In this post, I will be talking about how it feels to solo travel and other whatnots you may face along the way. When I first posted on my Facebook account that I’m going to Thailand for an eight-day solo travel in time for my 25th birthday this August, I was bombarded with questions wondering if I were that crazy to go on my first out of the country trip alone. To go on a solo adventure has always been a bucket list item for me, the reason why despite many unsolicited advice from workmates and travel advisories following the two consecutive bombing incidents in Bangkok, first at the Erawan Shrine which killed more than twenty people and second at the Phra Arthir Pier, I worked my way to make this happen. Of course, I was a bit petrified with the idea not only of solo travel but to do it in a foreign country with an entirely different culture and language! But then I reckoned, it’s my quarter life birthday and this makes this trip all the more exciting.. and yes, equally nerve-wrecking. So screw it, whatever happens, happens. And by all means and at all costs, THIS HAS TO HAPPEN. For the uninitiated, Uber is a San Francisco, California-based transportation network mobile app which seamlessly connects riders to drivers through the app on people’s smartphones. GrabTaxi, on the other hand, is a Malaysian-based mobile app and is by far, the fiercest competitor of Uber in the South East Asia region. I am writing this post under the assumption that you guys know how this app works. Under the conventional taxi ride, one hails a cab outside the street and see if it’s available for a cab service. If it’s a rush hour, luck can only have you on board. In a fast-paced world that we have right now, people would most often than not, go for the most convenient mode of transportation. This is where Uber comes into play. 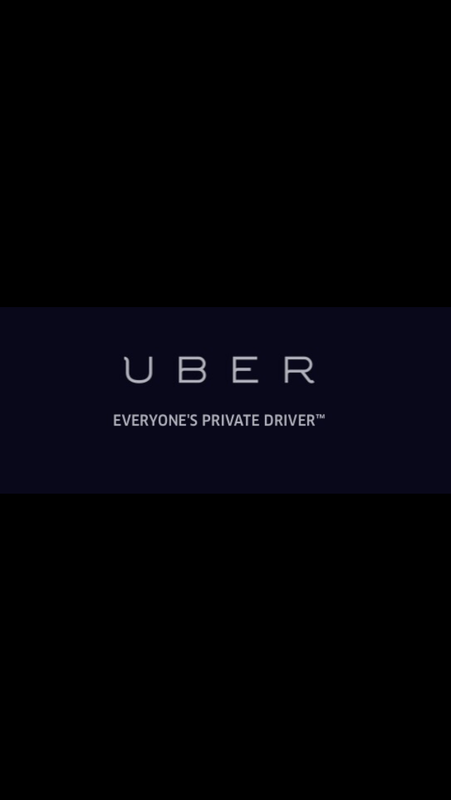 With your smartphone and mobile data or WiFi connection, you can electronically hail (e-hail) your private driver via Uber at your fingertips at the comfort of your room/office or wherever you are, as long as you show up at your designated pick up point once your Uber driver arrives. That is what Uber is about.. convenience. It’s as simple as ordering your favorite pizza via food delivery mobile apps or purchasing your fave sporting apparels via Zalora. And oh, it’s worth mentioning that you can get the free Zalora App on Google Playstore. Disclaimer: This is NOT A PAID POST, nor is this a political campaign material. The views and opinions expressed in this blog are my personal thoughts on the matter and does not, in any way, represent the views and opinions of any Company I’m connected with. In the interest of full disclosure, please know that I was born and raised in Davao City and have lived there for more than twenty years of my life. Since I was eligible to vote in the elections, I voted Rodrigo Duterte once as vice mayor in the 2010 elections and as mayor in the 2013 elections. If ever he will run again in the local post come the 2016 election season, without a doubt, I would still be voting Duterte. For everyone’s information, Duterte has served as mayor of my city from 1988-1998 and became the vice mayor in the May 2010 elections and gave way to his daughter Inday Sarah Duterte for the top local political post. Yes, in case this needs special mention, I voted Inday Sarah also and I love what she has done in the city. 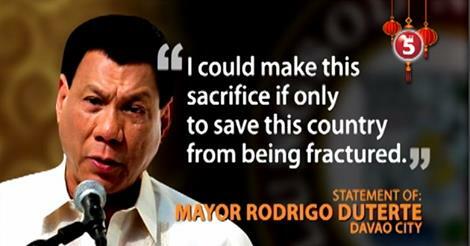 Rody Duterte regained his mayoral post in the 2013 interim elections. Needless to say and without batting an eyelash, I am a satisfied voter and a staunch supporter of Duterte. Digong, as he is more fondly called in Davao, is known to be feisty, straightforward and no non-sense talker-type of politician who already witnessed many political fiascos in his decades of service in the political arena. These past few weeks, Mayor Duterte’s name has spread like wildfire on national television, broadsheet papers, local tabloids and all over social media. With his ongoing heated exchange of tirades with DOJ Secretary Leila de Lima and CHR Etta Rosales, he became controversial and is the favorite topic of many, from tricycle, jeepney drivers and parloristas to Starbucks baristas and yuppies working in Ayala – Makati Central Business District. Patrik’s note: This is the second post of my #LabanPilipinas blog series, which wraps-up the recently concluded Asian Under 23 Women’s Volleyball Championship held from May 1-9 at Philsports Arena in Pasig. 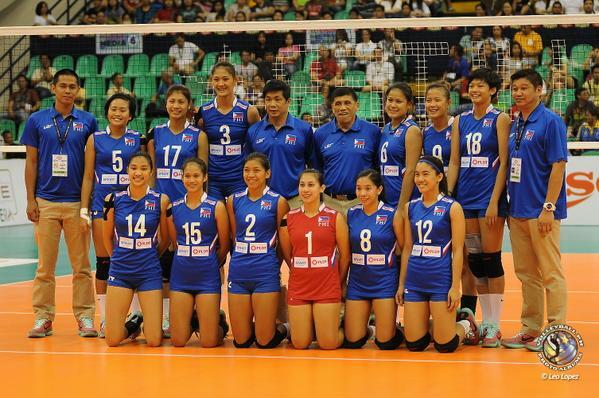 The first post “#LabanPilipinas: Call for unity and support for PH volleyball’ pretty much speaks for itself. After a decade-long absence in official international meets, slowly but surely, the Philippines is back on track and is inching its way to the top. The Philippines’ rise and 7th place finish in the recently concluded inaugural Asian Under 23 Women’s Championship proves that we are now taking the sport seriously again. It’s a clear message to our neighboring countries that we are working on regaining our lost glory. For the uninitiated, the Philippines used to be an Asian powerhouse in women’s volleyball during the 90s until 2005 where the country played host to the Sea Games and the women’s volleyball delegation grabbed the bronze medal. We witnessed twelve young volley belles both from the UAAP and NCAA who heeded the call to represent and don the country and the flag in the Under 23 tourney; we saw them battle their hearts out to the more powerful Asian countries inside the court; no matter how stiff the competition is, we witnessed their ‘never say die’ attitude and they showed the world that Philippine volleyball is no joke by giving the foreign teams a sure fright and run for their money. 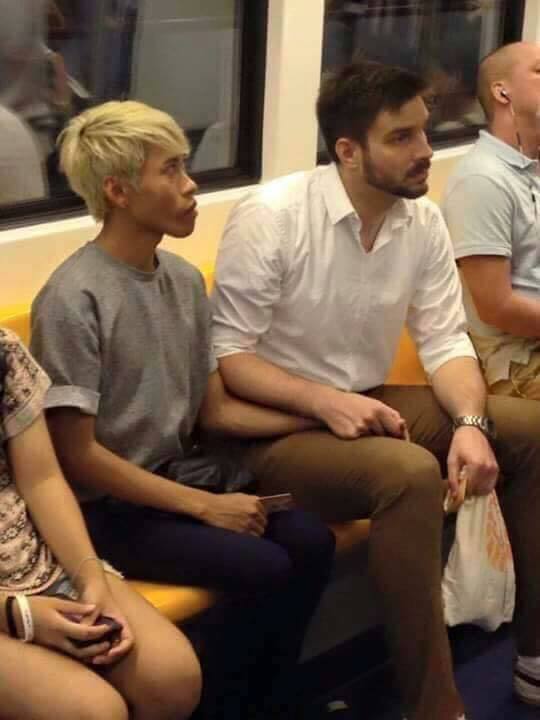 I woke up early morning yesterday and stumbled upon a trending viral picture showing a couple (in case you didn’t notice, they’re both gays) both on my Facebook and Twitter feeds. Many friends asked for my reaction, and truth be told: I was “inggit” and somehow surprised. Envious because I’m still single and surprised with all the antiquated hate comments full of bigotry and downright stupidity from people privy to their story. Apparently, the couple in the photos is Naparuj Mond Kaendi, a Thai creative director and booking agent at Bacca Model Management and Thorsten Mid, a model from Germany.